Turkey's foreign relations commission has approved the bill ratifying the agreement between Russia and Turkey to build the undersea gas pipeline Turkish Stream. Turkey's foreign relations commission has approved the bill ratifying the agreement between Russia and Turkey to build the undersea gas pipeline Turkish Stream, parliament’s official website announced. It s expected that the bill will be submitted for approval at the plenary session of parliament before the prime minister Binali Yildirim visits Russia, scheduled for December 6-7. Turkish Stream will directly connect the large gas reserves in Russia to the Turkish gas transportation network. The offshore component of the system will be built by Gazprom. The offshore pipeline will consist of two parallel pipelines, with 15.75bn m³/year each, running under the Black Sea. On December 1, 2014, Gazprom and Turkey's Botas signed the memorandum of understanding to built the line. In September 2016, Gazprom received first permits for the project from the Turkish authorities, then the sides signed agreement on October 10. 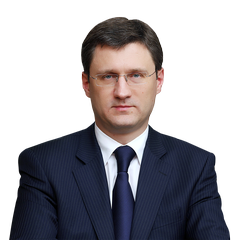 Pipe-laying work for the Turkish Stream gas pipeline will begin in 2017 and end in late 2019, according to the Russian energy minister Alexander Novak.